We are a small design+build firm located in Denver, Colorado, specializing in custom residential design and construction. As architects by trade, our passion and focus is on collaborative client-centered sustainable design. We utilize natural and local building materials as well as high performance building techniques to provide our clients with unique and environmentally sensitive homes. A design+build relationship offers a high level of efficiency and exceptional communication between you, the design team, and the craftsmen bringing your project to reality. Collaborating with our network of builders, subcontractors, artisans and artists, we are here to help you from napkin sketch to execution. Our unique process allows us to be of service at any stage in your home project. Serving the Denver Metropolitan area since 1987, specializing in residential design, including new homes, renovations and additions. Acclaimed for our fastidiously designed interior architecture including custom woodwork, bars, fireplaces, and unique built-in features. Solar and energy efficient design. Personal one-on-one service. Working in all design styles and on projects of all sizes and budgets. Striving to make your dream home become a physical reality. Founded in 2012 by Marty Beauchamp and Andrew Dratch, Red Pencil Architecture is a residential design studio focused on creating exceptional places to live. While providing the utmost in quality architectural design and personal client service, innovative solutions are achieved through a common blend of design expertise, market awareness and real world construction experience. We listen to our clients, we understand their goals and we truly appreciate their involvement throughout the design process. For over 30 years, TKP Architects has been designing award winning, memorable, high end custom homes for the West’s most discriminating clients. TKP’s design process incorporates sensibility, sensitivity, & an unparalleled ability to listen. TKP's typical range of all project construction costs is $250,000 - $10 million, with the range of costs for new homes between $750,000 to 10 Million. Whole home renovations are typically from $500,000 to $5 million, with remodels and additions from $250,000 to $5 million. Our architects approach their projects with a client-focused, non-egotistical style centered on creativity, communication & teamwork. TKP also provides integrated structural engineering services and can coordinate interior design and landscape services, creating a seamless design process. TKP’s team-oriented style - combined with their talent and experience in contemporary, mountain, and historical styles makes them one of the West’s most sought after architectural firms. 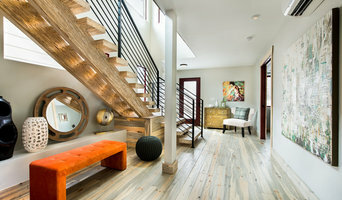 Denver's Full Service Architecture Firm | Best of Houzz! Gayle Berkey Architects is a full service residential architectural firm founded in 1987. We do approximately 10-20 projects per year with a construction cost of $500,000 to $4,000,000 per project. We are located in Littleton, Southwest of Denver. Our specialty is luxury custom homes for individuals. One specific design to meet the current and future needs of one family or individual. We design to any style the client desires. We are famiiliar with what is currently "hot" on the market, but in our history have designed almost every style of home. We are happy to look at any examples of styles or design elements you have seen and would like incorporated into your design. Gayle Berkey is a licensed Colorado Architect with certification by the National Council of Architectural Registration Boards. The firm is also a member of the Home Builders Association. Recognized for creating homes with elegant simplicity and natural beauty, Root Architecture and Development is a Design-Build practice devoted to making beautiful homes. The construction process is a highly chaotic process with many moving parts and multiple inputs in the decision process. Our goal is to help bring clarity and leadership to this process. We are a unique Design-Build practice in that we leverage our strong construction relationships and collaborative approach to design to bring thoughtfully conceived homes into reality and construct them within our clients budgets. We are professional, yet personal and approach each of our clients as partners in this important life journey of building a home. We are Boulder area architects and planners who have delivered innovative planning and design solutions for more than 30 years. Our diverse portfolio includes custom homes, renovations, multi-family projects, mixed use urban in-fill projects and land use planning. bldg.collective was founded in 2009 with the purpose of approaching the practice of architecture in a unique way. Headquartered in Boulder, Colorado, our team embraces every opportunity to collaborate, explore, and provide design solutions that transcend the trappings of style and trends. As a full-service residential and commercial architecture and design firm, we work closely with our clients to achieve a deep and thorough understanding of their intentions. Always transparent in our processes, we work towards achieving our clients’ goals while keeping their style, programmatic, sustainable, and budget goals front of mind. Cline Design Group is a Colorado based firm that specializes in architectural design and Construction on homes ranging from remodels and track homes to high-end Luxury Custom Homes. We have been in Business for 21 years and have built across the Denver Front Range and Summit County. We pride ourselves on Creativity and Quality. 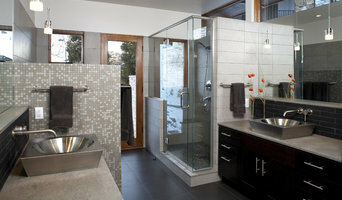 Our company participated in the 2008 Parade of Homes and received the prestigious Built Green Award. 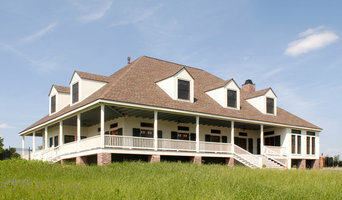 This same home received the Colorado Built Green Home of the Year award in 2008. We try to incorporate Green Technology into all of the homes we design. Our designs have been built in various cities across Colorado including Denver, Lakewood, and Silverthorne, and that list is quickly growing. 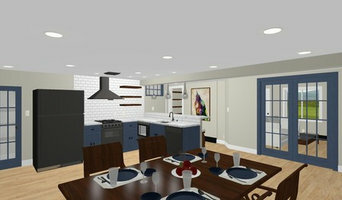 How do I find the best Columbine architect for my home design project? It is best to hire a home architect who will be involved in all phases of the design process, from the initial concept to the completed construction. The architect is often the first person you will hire for your project. If necessary, they might also help you select and hire Colorado subcontractors, which can include the builders, engineers and landscaper. Interior architects are also involved in negotiating contracts for all involved participants. It is for these reasons that it is extremely important for you to have a good relationship with the Columbine residential architect you hire. He or she can be the tie-breaking vote between you and the general contractor and can be your biggest advocate during the construction process. Different architecture firms in Columbine, CO provide different services, so the scope of the work can span from pre-design environmental impact studies to selecting furniture and finishes, depending on what your specific needs are. It is very important to hire the right professional for the job. Remember that the most well-known or established designer might not provide the best architectural services for your needs. It all comes down to the individual project. Research and ask people whose work you like for recommendations. It's important to have somewhat of an idea of the style of house architecture that you prefer, as well as the amount you would like to spend. Residential architects in Columbine, CO are natural problem solvers. They will assess the entire situation and help you to solve your problems too. Don't settle for a single company too early. Call and interview a few. Make sure that you feel like your personalities will mesh well and that you like their professional perspective. Find a home architect in Columbine, CO on Houzz. Narrow your search in the Professionals section of the website to Columbine architects. You may also look through photos of Colorado projects to find interior architects and building designers who have worked on a project similar to yours.